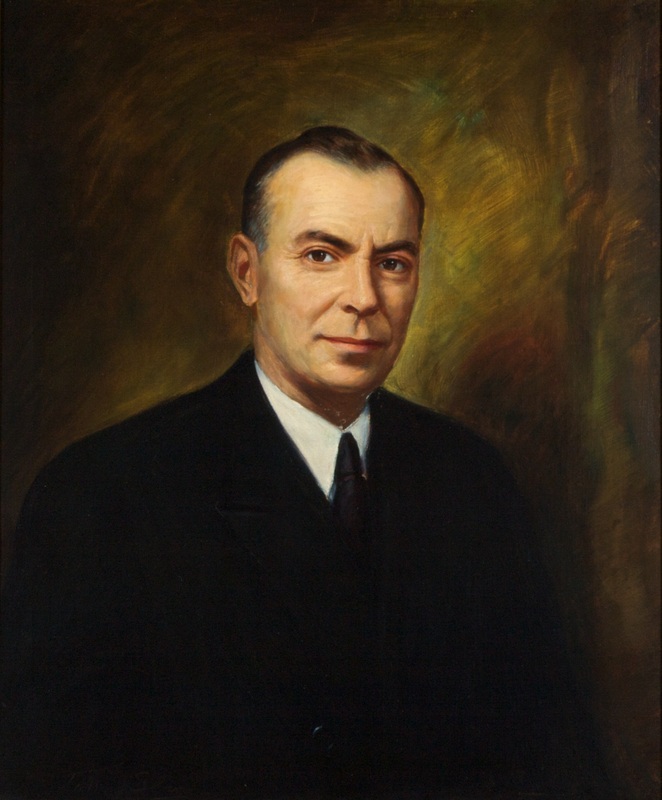 Appointed by Governor William M. Tuck on August 28, 1947, to fill the vacancy created by the death of George L. Browning and began his service on October 7, 1947. Elected by the General Assembly on January 28, 1948, to complete the unexpired term of Justice Browning. Service terminated by resignation. Appointed, “Abram Staples Is Named to Va. Court Post,” The Washington Post (1923-1954) [Washington, D.C.], August 29, 1947: B1; qualified, 186 Va., iii; elected, Journal of the Senate of Virginia, 1948 Session, 80; resigned, 192 Va., iii; birth, education, and career, transcript of memorial and portrait presentation on April 21, 1952, published in 193 Va., lxxix-ci; portrait, Ray O. Hummel, Jr., and Katherine M. Smith, Portraits and Statuary of Virginians Owned by the Virginia State Library, the Medical College of Virginia, the Virginia Museum of Fine Arts, and Other State Agencies (Richmond, Va.: The Virginia State Library, 1977), 116. See also, “Abram Staples, Ex-Virginia Judge, Dies,” The Washington Post (1923-1954) [Washington, D.C.], March 22, 1951: B2.